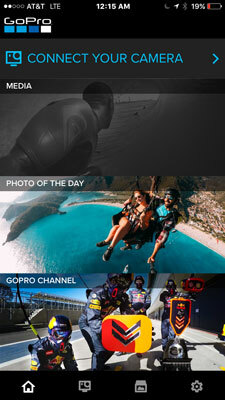 The Capture app for your GoPro camera allows you to control the camera from a distance and monitor the scene. It also lets you wirelessly update camera firmware and get the latest features to maintain best performance. 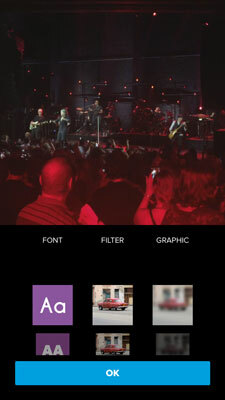 Live Preview (see the figure) lets you see what your camera sees for easy shot framing while capturing the scene. You can also play back video and view photos right on your smartphone. Updating firmware on electronics isn’t for the faint-hearted. It’s complicated and bothersome, and nobody wants to do it, so it doesn’t always get done. The Capture app, however, changes all that by allowing you to keep your camera up to date via Wi-Fi. You can share your favorite video clips and photos via email, text, Instagram, Facebook, and other social networking sites. Although you can’t share directly from the camera, you can use the app on your smartphone or other mobile device to access the image files and then share them. It’s a free download. Operate the camera from 50 feet away. Monitor the scene on your smartphone’s screen. Don’t expect monitoring to be perfect. There’s a bit of lag time between the camera and your smartphone as much as a few seconds. To judge the delay, put your hand in front of the camera’s lens and then take it away, and see how long it takes for the change to appear on your smartphone. Control one camera or multiple cameras, with all the technical settings at your disposal. Select the mode you want to capture. Start and stop video recording, take still photos, and do time-lapse photography. Erase a full memory card or delete just the last item captured. One caveat: The app doesn’t work when the camera is underwater. 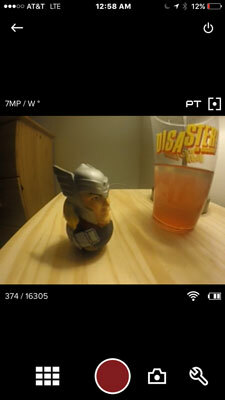 You can still record by tapping the shutter before submerging the camera. Unfortunately, you won’t be able to monitor the scene. 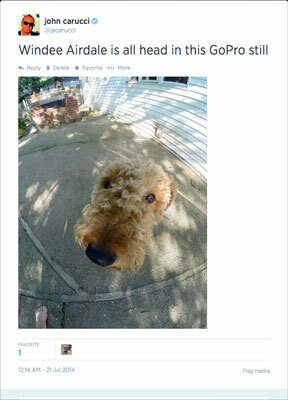 Shared image on Twitter transferred from the Capture app. Activate Wi-Fi on the camera by pressing the Wi-Fi button on the side. The blue light blinks to show that Wi-Fi is activated. Open the Capture app on your smartphone and then tap the Connect & Control button, shown in the following figure. If you see a No Cameras Connected warning, navigate to the Wi-Fi settings on your smartphone and make sure that the GoPro is selected. Often, your home Wi-Fi network is selected by default on your phone, and you need to select the camera. Monitor the scene and make changes without ever touching the camera. You can change camera modes, adjust resolution settings, and access Protune settings on the Black Edition. The Connect & Control button. Tap the Connect & Control button. Tap the video icon. By default, the video icon should be selected, but if it’s not, tap the icon that looks like a movie camera. Point the camera at something, and check the scene on the monitor. Make camera adjustments, if necessary. Tap the red button to start recording video. Tap the red button again to stop recording. After capturing whatever situation strikes your fancy, you can quickly turn it into a movie on your smartphone. Splice lets you assemble a series of clips together, add titles and transitions, and even has a music library to give your movie the right pizazz. Another app can automatically make a movie with clips and music so quickly it’s called Quik. If you’re looking for an automated approach to editing movies, the Quik app is perfect for you. Create edits in a matter of moments by transforming a few clips into a movie with choices for soundtrack loaded in the program, or simply choose a song that’s already on your device. Quik automatically analyzes the footage, puts it together, and synchs it to the beat of your soundtrack. The music can come from files on your phone. Quik will automatically make a movie for you by selecting your best clips of the week, and even add a soundtrack (see the following image). Choose video styles: Pick the style of the movie. Each selection has its own set of filters, graphics, fonts, and transitions. Custom text overlays: Add captions, Identifications, and emojis to give your movie the right pizazz. Soundtrack library: Allows you to pick the perfect soundtrack for your movie. Whether it’s something from your own music library. Whatever soundtrack you use, the app quickly synchs the action to the beat of the music for a really awesome video, regardless that it was automatically variety. Automatic video creation: Once a week, Quik will surprise you with a produced movie from footage found on your mobile device over the past seven days. One–button posting: Just tap save and you can share video on a variety of social media sites including Twitter, Facebook, and Instagram. You can also save directly to your device or on the Cloud. It’s great to perform a quick edit in the field and share it immediately from your app, but it’s a little more comfortable doing it from your computer. The desktop version of Quik provides the same easy operation when it comes to offloading files from your GoPro. Just connect the camera and the software automatically downloads your movies and photos to your drive. 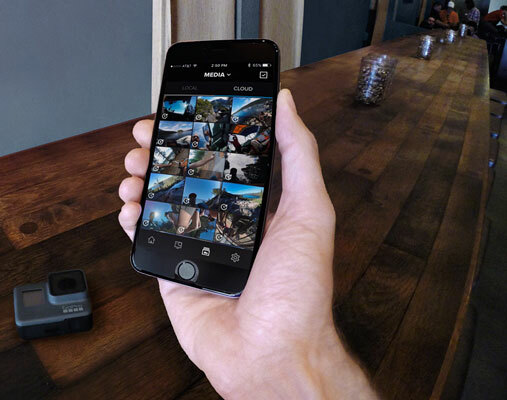 If you’re a GoPro Plus member, it will upload directly to the Cloud, allowing you to access, view, and edit your content on any device wherever you are at the moment. A screenshot of Quik in action. Splice brings the power of a desktop editing system to the convenience of your iPhone or iPad, so you can make pro-quality edits moments after you shoot them. You can easily add music, sound effects, and titles before uploading to a sharing site. Fully edit on your phone: Includes all you need to produce video clips. You can trim clips, crop the frame, as well as add titles and special effects. Great audio choices: Free music and sound effects allow you to overlay multiple tracks, adjust audio levels, or record a voiceover. Impressive outros: Lets you end your video in style. A screenshot of Splice in action.